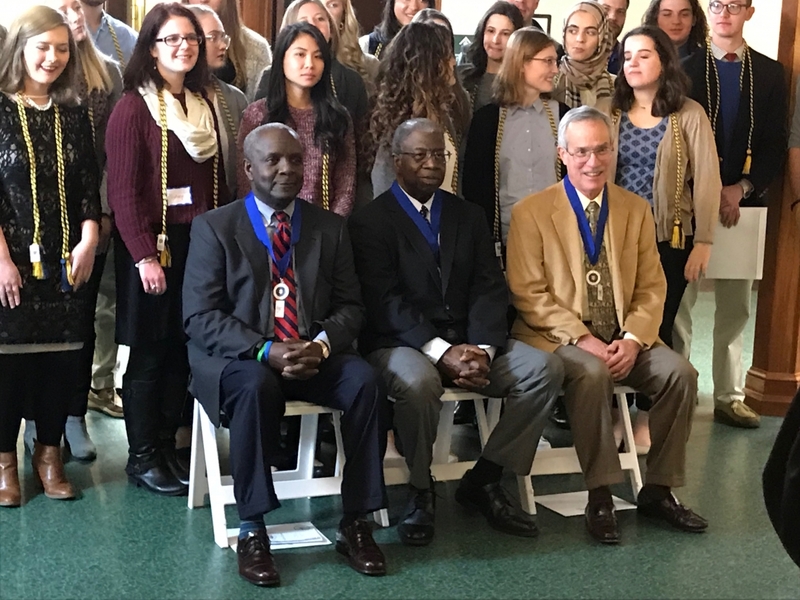 The Graduate School’s own Dr. Cleophus Price was inducted into the Phi Kappa Phi National Honor Society on November 15. Dr. Price was selected for this honor because of his contribution and dedication to higher education that is exemplified in his work at the University of Kentucky and throughout the Commonwealth of Kentucky. Phi Kappa Phi is one of the oldest honor societies in the country that recognizes academic achievement, contributions to higher education, and exemplary citizenship. Congratulations, Dr. Price!